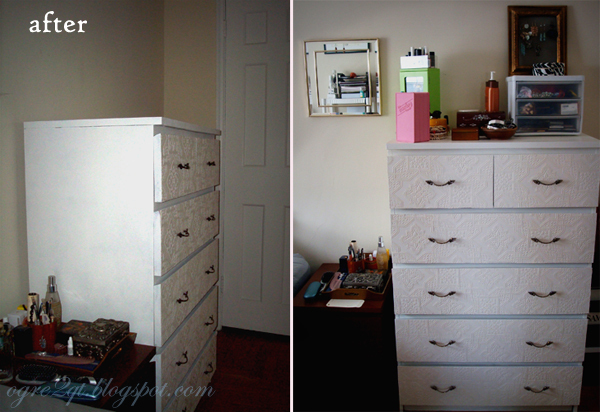 I caught the furniture makeover bug baaadly after spending too many hours on Pinterest. 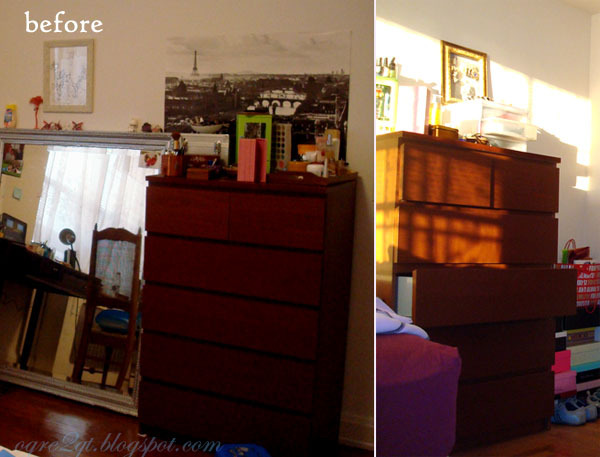 My poor Ikea Malm dresser did not stand a chance. 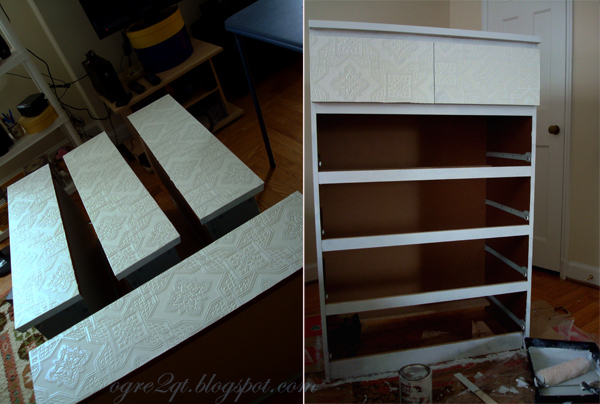 Paintable wallpaper ($15): applied to the front of drawers. I cut strips to fit, then soaked them in the bathtub. 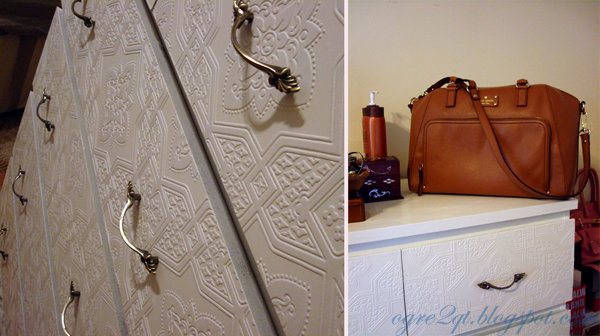 As I carried them from room to room, wallpaper paste dripped everywhere. 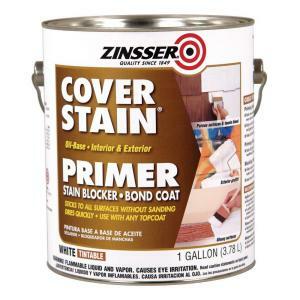 Oil-based primer ($8): miraculous product unanimously recommended by furniture DIY bloggers. 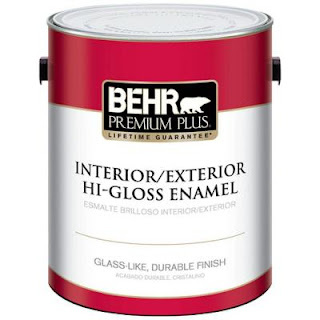 It allows one to paint over laminate furniture without sanding or pre-treating in anyway, which is perfect for apartment dwellers like me who lack tools and workspace. Behr paint (color = Pot of Cream) ($13): dries within 2 hrs and ready for a second coat! Unfortunately, I did not splurge on paint conditioner so brush strokes and fibers of the roller were quite apparent. Oh well! 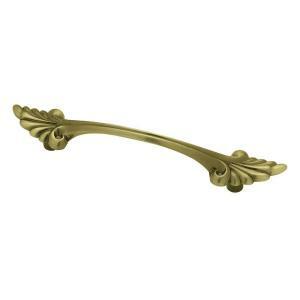 Brass cabinet pulls ($1.69 x 10 = $16.90): adds a baroque zing. I contemplated crystal knobs for their swanky feminine look, but they were $4 a pop! Oh well! It was NOT easy to measure them out, drill TWO holes per pull, AND screw them in. 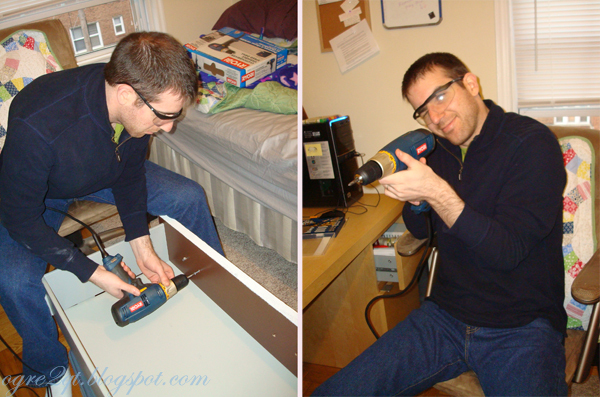 Husband with drill (priceless + $39): Mike got something out of this adventure, too: an electric drill! Whoopeeeee! He is sporting his favorite J.Crew shirt and new Levi's. 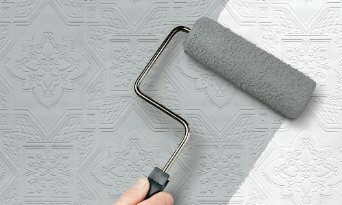 Now, I still have a roll of textured wallpaper, 1/2 a can of primer for my next victim project, and most of the glossy white paint. Husband and drill also still available for commission (I hope). OMG! I LOVE this!! 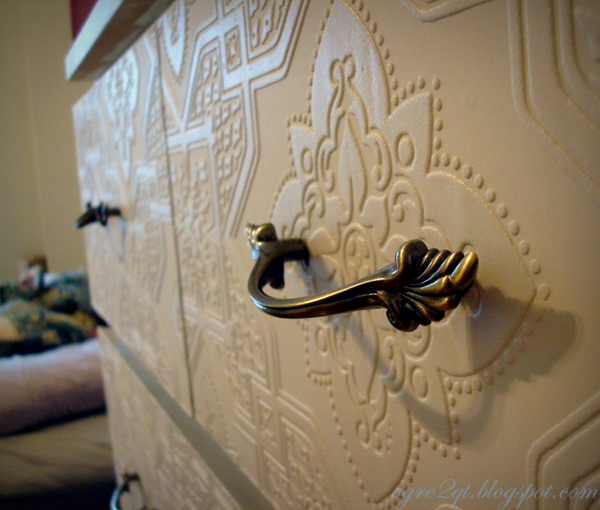 I think I will do this, but to nightstands and in chrome spray paint!! I have that same Kate Spade bag too!! Thank you! Hope your nightstands turned out great. Where did you get this wallpaper? I love it! Hi Jenn, I found the wallpaper on Amazon. Any idea what the name of the design was, or the company? Thanks! All images are the property of the posting author unless otherwise noted. Ethereal theme. Powered by Blogger.